West Horsley Place, a Grade 1 listed historic house set in substantial grounds in the Surrey green belt, has a fantastic historic legacy of royalty, dukes and duchesses and, legend has it, was the temporary resting place of Sir Walter Raleigh’s dismembered head. Bamber Gascoigne inherited the house in 2015 from Mary, The Duchess of Roxburghe, who had not lived there for many years. 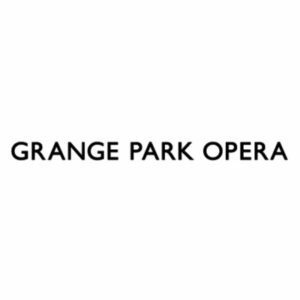 Gascoigne has decided to place the house and grounds into the Mary Roxburghe Trust with the Grange Park Opera company providing one source of new arts and creative activity, seeking planning permission for a new ‘theatre in the woods’ opera house in the grounds. The property has great significance and value to the local community. Recognising the inevitable local interest, BECG opened up the house for two days of consultation with the public, during which an unprecedented 1,500 people viewed the proposals and listened to talks given by Bamber Gascoigne. Borough councillors from across the parties were briefed in advance of the public consultation and more Borough and Parish councillors attended a private preview of the public exhibition at the house. The carefully choreographed consultation resulted in overwhelmingly positive feedback from councillors and the general public. Hundreds of positive feedback forms were received and the proposals have been the subject of extensive positive social media comment. This is unusual for any planning application and particularly so for one proposing a sizeable development in the heart of the Surrey green belt. A planning application was submitted in January 2016 and only a small number of objections were received during the statutory public consultation period. The planning application was approved at committee with 21 votes in favour and only one vote against.